By ‘New age’ I mean the uprooting of concepts from eastern religions and their implementation into a western, specifically capitalist culture. The possibility of such an implementation is consequent on the way eastern religious concepts capitalize on tensions between a) those aspects of society that are vestiges of a civilization animated by Christianity, and b) enlightenment rationalism, and c) the demands of a growing consumer culture oriented around the conspicuous consumption of purchased goods. Relative to western monotheistic counterparts, eastern religions accord less importance to both concrete events (and consequently to both symbolism and history),and to the concepts of sin and final judgment. Instead of these, eastern religions tend to be more abstract and ahistorical, are more likely to conceive of good and evil in terms of cosmic balance rather than personal sin and righteousness, and provide concepts of cyclical death and rebirth in place of those of final judgment and reward. Relative to western enlightenment rationalism, eastern religions – like the east generally – are understood to be mystical rather than rational. Hence, eastern religious discourse is understood to speak to ethical or emotive concerns, in contradistinction to factual matters. In this respect, 20th and 21st century western appropriations of eastern religion in the New Age movement are analogous to 19th century Romantic appropriations of the middle ages. All of the above are characteristics where New Age religion compares well with the aims of American consumerism precisely where they conflict with traditional western monotheism. The tendency to downplay positive ethical action and motivations and instead emphasize the contribution to the whole mirrors that found in capitalist understandings of the human person as producer contributing to value-indifferent measures like GDP: the whole appears to work even if its participants are motivated by greed and self-interest. The ahistoricity and non-symbolic bent of eastern religion works against both specifically Christian sacramentalism and the attachment to events and places common across Judaism, Christianity, and Islam. In this respect, it provides support to enlightenment rationalist traditions relative to older religious traditions. But against rationalism and in accord with modern consumerism, it elevates will and feeling against reason. In this way, it provides weight to the consumerist tendency to view things in terms of their ability to satisfy desires or to interfere with inner tranquility, thereby providing incidental support to the effort to monetize the satisfaction of these desires and the maintenance of a state of personal equilibrium –as is seen, for instance, in yoga studios and meditation apps. The absence of a central notion of final judgment is leveraged to minimize self-harm and foster an attitude of self-esteem, the latter of which is strengthened by the pantheistic elements within eastern religions which encourage self-identification with a deity. But New Age religion stands with western consumerism, against historic eastern religious practice, in several important respects. First, it presupposes a late western distinction between the mystical and the rational precisely to set the former off in a realm where its claims cannot be rationally judged. Next, it while eastern religions do place less emphasis on symbolism and historicity than their western counterparts, New Age appropriations minimize this role further, downplaying the role of symbols and storytelling in eastern texts like the Baghavad Gita and the Zhuangzi. Third, having focused on the more abstract content, it then interprets this in accordance with a western distinction between the internal self and the external world as a one between realms of values and facts. In this way, rather than being instantiated in group practices, New Age treatments of eastern religion almost entirely internalize and psychologize them. In this way, those practices which are appropriated become subsumed under western categories of mental and physical wellness, where they can be marketed to those unsatisfied with their current life in just about any respect. In this way, they serve as a monetized, purely internalized substitution for traditional communal western monotheistic practices of redemption of the self. Welcome back. Over the past week, I’ve been discussing focusing on the question ‘how, if at all, do events have meaning?’ The question was opened by the tragic case of the burning of Notre Dame Cathedral at the beginning of last week, which I’ll eventually return to. Since then, I’ve been examining a different, likewise tragic example, namely the September 11th attacks. We’ve already established that one way in which events come to have symbolic meaning is by virtue of the symbolic meaning of the things involved in those events, e.g. because the World Trade Center was a symbol of finance capitalism, an attack on it could be construed as an attack on the latter. Furthermore, one common way in which things are able to symbolize other things is by virtue of having those things as their ends. Related to this, a term may also symbolize some way of failing to meet the end that is nevertheless connected with it, either by way of excess or by way of defect. In this way, this part of the symbolic meaning of the attacks on the World Trade Center, the Pentagon, and the intended attack on the White House could all be expressed by uniformly replacing the names of the objects themselves with the names of what they stand for in sentences that straightforwardly express the original meaning. In the same example, we haven’t yet addressed the manner in which the date – traditionally associated with the battle of Vienna, a battle in which the Christian army of the Polish king Jan Sobieski held off the advancing forces of the Ottoman Empire – itself comes to have symbolic meaning. This is a more interesting case for a number of reasons. First, there is the question of how this particular event, among countless others on the same calendar day, comes to be associated with the later attack. Second, there is some disagreement about whether those who planned the attack themselves intended the association with the anniversary. Third, though preparations were already in place on the 11th, the Polish advance did not begin until the morning of the 12th. That the date remains an important part of the meaning of the event thus suggests a number of things: first, that an event may have a symbolic meaning independent of, or even contrary to, the intent of its principal agents. To take another example, the Christian interpretation of the crucifixion of Jesus of Nazareth on the Jewish Passover as a symbolic reenactment of the Passover sacrifice itself was not merely orthogonal to the intent of the Roman guards who carried out the execution, but also actively antithetical to the intent of the Pharisees who pushed for it: it strengthened the belief, which they vigorously denied, that Jesus was the anointed messiah of God. In short, the meaning of an event need not depend on the intent of its principal agents. We’ll delve further into these cases tomorrow. The first, in political philosophy, examines the differences between the concepts of libertarianism, subsidiarity, federalism, nationalism, states’ rights, and racism. In modern political discourse, the first three of these concepts are frequently conflated with each other, and sometimes are polemically linked with the latter three. I show that the political philosophy of libertarianism and the principle of subsidiarity are strictly orthogonal to each other. Further, while libertarianism and nationalism are materially inconsistent with each other, nationalism itself can be understood as an expansion of the main concepts libertarianism affords to individuals to nation-states. The second, ‘A glimpse of early Hebrew metaphysics in the book of Genesis‘, combines themes from the study of ancient history, biblical interpretation, and metaphysics, to show how errors in the interpretation of a text – in this case, the description of the sisters Leah and Rachel in the book of Genesis – can arise from more fundamental shifts in metaphysics. That events can have symbolic meanings can be shown from paradigm cases (note: this is how induction was generally understood to work prior to some changes in the concept in the late medieval period) : the 9/11 attacks on the Pentagon and the World Trade Center, for instance, and the attempted attack on the White House on the same day, were rightly interpreted as respectively targeting American imperialism in war, finance capitalism in economics, and representative democracy in political economy. Understanding these three as pillars of contemporary western civilization, the attack was viewed as an attack on western civilization itself. The date of the attack, on the anniversary of two critical defensive victories for western Christian armies over Muslim advancements (the end of the Great Siege of Malta in 1565, and especially the beginning of the Battle of Vienna in 1683), suggested a renewed struggle between Western, specifically Christian, and Islamic civilizations. In the above instances, the meaning of the event is taken from the meaning its parts: the attack on the World Trade Center was an attack on finance capitalism because the World Trade Center was already an established symbol of the latter. The case is similar with the attack on the pentagon and the planned attack on the White House. The meaning of the event in each case is expressed by substituting some symbolized being for what symbolizes it in a sentence straightforwardly describing the original event. 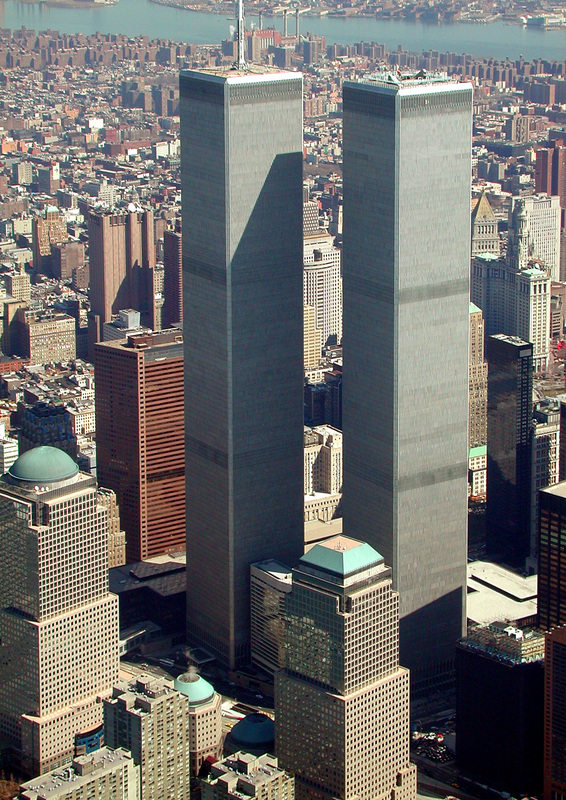 Going further, the World Trade Center was able to be a symbol of finance capitalism because the buildings themselves were places dedicated to its practice. The Pentagon was seen as a symbol of American imperialism because it was a sight for the planning of military strategy and operations, and imperialism is necessarily a way of failing, by way of excess, to carry out the essential task of a military. The White House serves as a symbol for democratic governance because it is likewise dedicated to that end. In short, the first and third substitutions are each of a being with its end, while the second is of a being with a way of falling away from its prescribed end. At Genesis 29:16-17, we find the following description of Laban’s daughters, both of whom the patriarch Jacob would wed.
That the original meaning of the text is not conveyed by any of the above is clear from its context: the current text has Leah’s weak eyes contrast with Rachel’s beautiful appearance. But the state of Leah’s eyes is not the right type of thing to contrast with Rachel’s beauty. There is, however, something in the vicinity that does belong to an appropriate contrast class: Leah’s sight – not, that is, her capacity to see, but rather the sight of her, how she appears to others. The original sense of the text would be that Leah was a weak sight – or, if Saint Jerome was cribbing from a Greek variant, a fat sight (lippus is cognate with the Greek λίπος, ‘fat’) – while Rachel was beautiful. We’ll assume the first. It’s unlikely that a text that unambiguously referred to Leah’s appearance would have been corrupted to the point of referring instead to her eyes. What’s more likely is that an ambiguity in the original meaning was lost. Today, sight is regarded as a power present in an organ, namely the eye. The appearances of things external to the eye is itself consequent on this power to see. In more extreme forms of this view, qualities like color and brightness do not exist in the thing, but in the mind: beauty is, as they say, in the eye of the beholder. In this construal, the being of a certain class of beings (the look of things) is reduced to that of a power (sight), which is in turn reduced back to the being of a part (the eye), which is itself grounded in the being of a subclass of objects (sighted animals). But this isn’t the only way to view the matter. Alternatively, one can begin with the being of the sight itself taken as a whole, within which the seer, the seen, the showing of the seen as its manifestation to a seer, etc., all play various roles. The term used to refer to the whole can then be transferred by synecdoche to its various parts, with different specified interpretations appropriate to different uses. Words like ‘look’ and ‘sight’ still have this ambiguity in English today. Over time, words sometimes ossify to refer to a part where they once referred to a whole. Hence, the English ‘deer’ is cognate with the German Tier, ‘animal’, while ‘jealous’ and ‘zealous’ partition positive and neutral-charged versions of a phenomenon described by the same Greek root. But in the biblical case, the direction of the reduction is important. In the thinking of the passage we’ve charted out, one finds a weakness in the sight of Leah, and a sight of beauty with Rachel. In the reductive reading, it is not merely that the sight of Leah’s is reduced to the wrong object – her eyes, rather than her appearance – the same reduction is present ‘correctly’ with Rachel’s beauty: it is no longer what is present with her in the event of her presence before Jacob; instead, it is a property of her appearance which stands opposite the eye of Jacob. In the second case, then, the reduction of the whole to a relation of properties to objects brings with it a duplication of correlated properties, e.g. the gaze of Jacob and others, and the task of explaining their correlation. From this arise the two characteristic tasks of later western metaphysics everywhere we find it: the explanation of the unity of being by reduction of some beings to others as real, and by the correspondence of beings which belong together as truth. Distributism is a political ideal according to which property ownership should be as widely distributed as feasible. How does distributism differ from capitalism? Taken broadly, ‘capitalism’ refers to an economic system wherein property ownership is private. Its opposite is socialism, a system in which private ownership does not exist. In this sense, distributism is a political ideal that may be achieved within a capitalist system. system wherein property is concentrated in the hands of a few, and markets purportedly operate with little or no government interference. In this more restricted sense, distributism differs from capitalism, in that its policies aim at the establishment of property in more hands. Notwithstanding political mythology to the contrary, capitalism and distributism don’t differ with respect to quantity of government interference: they differ with respect to its aims. In capitalism, government intervention often occurs in order to enforce the rights of the few over the many (e.g. property and patent laws), to coerce the many to work for the few (e.g. laws connecting welfare to seeking employment), and to set up the few as the caretakers of the many (e.g. laws exempting workers from liability, and requiring liability of employers). That is, capitalist use of government intervention tends towards the establishment of what Hilaire Belloc called the Servile State – an arrangement of society according to which the masses are granted a minimal level of security and care, but lack substantial wealth or political capital, and are under the mercy of those few rich persons granted legal responsibility over them in various ways. How does distributism differ from socialism? Though the term has come to have a broad range in popular discourse, ‘socialism’ strictly refers to a system in which the right to private property is abolished. Distributism is one wherein it is affirmed. The difference is that the one affirms, the other denies, a right to private property. capitalism – of the Servile State. That is, they tend towards the establishment of control of property in the hands of a few, who are granted the responsibility to care for the masses at the behest of the state. So distributism differs practically from socialism in exactly the way that it differs from capitalism, because these latter tend in practice to the same thing. Is distributism a hybrid of left and right thought on economics? No. It is better to regard the left and the right as closer to each other than usually suggested. Government interference on both the left and the right tends toward the establishment of the Servile State. Distributist economic interventions aim at its abolition. One important way socialist and distributist economic regulations often differ is in that the former tend to be ‘positive’ interventions, while the latter are more often ‘negative’ interventions. necessities for the poor, health care, college costs etc. When these exist in a mixed capitalist-socialist economy, big businesses often leverage market forces to effectively turn these subsidies into a new ‘floor’ relative to product demand, and product costs go up. In this way, positive interventions both create large managerial bureaucracies and often translate in practice into indirect subsidization of large corporations. In the absence of corresponding negative interventions, they also tend toward the ballooning of government debt. Negative interventions advocated by distributists include things like differential taxation relative to the number of stores owned or number of areas in which a ‘big-box’ company trades, the enforcement of anti-trust legislation, the taxation of ‘externalities’ like highways and pollution, and generally, various uses of taxation to directly prevent companies from serving too many sectors or too much of one sector. To the degree that negative interventions tend to involve less bureaucracy than positive interventions where the transfer of wealth must be directly managed, distributist interventions tend to be fewer, less invasive, and more efficient. Their difficulty is a purely political one: it is politically easier to advocate for subsidies than penalties, even when penalties would be of greater benefit to the class targeted for benefit than direct subsidization. How does distributism handle the distribution of goods? It doesn’t. That’s the beauty of it. In an economy where wealth is well-distributed, and the laws tend to prevent its concentration, this is accomplished by what Smith called ‘the invisible hand of the market’. In this connection, it is important to see just how often this myth of the invisible hand fails to apply in typical capitalist economies. In practice, capitalism doesn’t use markets to manage everything: prices are often set in various ways by large monopolies, in a way not substantially different than in a socialist planned economy. For instance, a large supermarket chain that owns the store fronts, the factories that make the bread sold in the stores, the trucks used to transport the product, etc. does not determine the prices of its internal transactions by the market. Likewise, fisheries dependent on having their products sold by large chains aren’t in a position to sell their goods at a better price to different stores: the price for their labor are effectively dictated to them by those who control the means of distribution. Hence, product cost in archetypical capitalist economies is often determined much more bureaucratically than capitalist rhetoric would suggest. distributists allow the costs of goods to more accurately reflect their true market price, and hence to achieve the equality requisite for a genuinely free and competitive market. As I began writing this, Notre Dame Cathedral was burning. I visited and attended mass at the cathedral just this past June, while on a trip to France to do manuscript research in Paris and present at a logic conference in Vichy. I broke down in tears upon coming home as I tried to tell my wife what had happened. Inevitably, one comes to question the meaning of all of this. This, in turn, prompts the question of whether the question ‘what is the meaning of all this’, referring to this or any event, is even a sensible one. As many would have it, asking for the meaning of an event is a senseless question, like asking for the weight of pi. To think through this question requires one to begin by taking the data given in these sorts of common phrases seriously. This is not to say that every question is ultimately a meaningful one. But it is to say that advancement on any given issue, even to the conclusion that the issue at hand is meaningless, is only made by following a path of inquiry. This, in turn, requires a kind of fidelity to the matter that presents itself which is incompatible with naysaying. Blessed is he who sits not in the seat of the scoffers. The concept of subsidiarity is often associated with a myriad of other concepts. Among these concepts, are some such as federalism, and libertarianism, which are judged differently by different people; and others, such as racism, which have an almost universal negative connotation. The purposes of this post are 1) to disentangle the concept of subsidiarity from those various concepts associated with it; and 2) to thereby disentangle these concepts from each other. By ‘subsidiarity’, I mean the principle that those functions which can be performed at a lower level of society should not be usurped by a higher level. By ‘localism’, I mean a philosophical ideal according to which economic and political functions within a society should be performed at the smallest level at which those functions can be properly achieved. By ‘federalism’, I mean the principle that those functions which can be performed by the various state governments should not be usurped by a federal government under whose jurisdiction they stand. In some cases, the term ‘federalism’ is used synonymously with ‘defederalization’, to refer to the process whereby responsibilities currently fulfilled by the United States federal government are transferred to state governments, regardless of their suitability for being performed at the local level. In what follows, I leave this definition aside. By ‘libertarianism’, I mean a political philosophy that aims at the maximization of individual liberty, understood as the freedom to choose between a multitude of options for the greatest part of people within the body politic, as its goal. ‘States’ rights,’ refers to the real or imagined right of states subordinated to a federal government to self-determination with respect to the mode of society instantiated within its borders, as against the real or imagined threat of encroachment by the aforementioned higher sphere of government. The concept of ‘states’ rights’ is thus only applicable in federations, wherein both a more local, state government, and a broader federal government exist at different levels. At the level of international relations between countries under a common international body (as in the European Union), it has an analogue in the notion of national self-determination, according to which a nation has the right to determine the mode of life instantiated within its borders free from the real or perceived encroachments of international bodies under whose jurisdiction it stands. Racism is an ideology according to which some individuals are superior to others by virtue of their race, where ‘race’ refers to a collection of characteristics loosely determined by biology, outward appearance, and collective history, upon which certain other mental or spiritual characteristics are thought to supervene. Certain connections between some of these concepts are faintly detectable at first glance. Others, however, lack clear conceptual relations. The chief outlier among these is racism, which bears no clear conceptual connection to the various other concepts mentioned above. Rather, the relation between these concepts is a historical, accidental, one, and even there largely confined to United states political history. The connection between racism and states’ rights was largely drawn in the aftermath of the United States Civil War, and developed in the dialectical retrospective of historians respectively favoring a ‘northern’ and ‘southern’ interpretation of its events and causes. Initially, certain authors sympathetic to the position of the U. S. Confederacy had begun to argue that the chief issue at stake in the war was not slavery, but the rights of the states to determine their mode of life. In response, others championing a northern perspective pointed out that the chief right at issue was the right to own slaves, philosophically justified by the belief that black men and women constituted an inferior race to white persons. As the northern interpretation of the conflict maintained or regained its dominance in various intellectual and popular circles, the term ‘states’ rights’ began to be itself treated contemptuously as a euphemism for racism. Today, this treatment of the concept of ‘states’ rights’ has a limited presence in the academic sphere, and a more widespread one in the public eye. Since roughly the 1960s, this tendency has been exacerbated by a) the presence of genuine gains on the part of those peoples descended from slaves achieved by federal, rather than state, means; and b) the use of these gains in propaganda to attack defederalization initiatives of any sort, and especially those that would be pertinent to race relations. It remains important to note both the contingency and the provincialism of this connection. In Fascist Italy and Nazi Germany, for instance, racism appeared not in the form of states’ rights movements, but rather as collectivist movements at the national level, erasing both internal distinctions between provinces and external borders between nations (in the case of the annexation of Austria) in favor of union under the concept of the national race. Likewise, modern first-world imperialism, according to which various non-western nations are made to conform to the cultural mores of western ones, arguably represents racism in an international form. The primary difficulty with this assimilation of states’ rights to racism, whether found in expressions of southern identity in former confederate states or in denunciations of southern culture in northern ones, is its falsity. That there was no connection whatsoever between the concept of states’ rights and the ideology of racism as embodied in the institution of race-based slavery, is clear from the Dred Scott v. Sandford decision, which arguably represents the point past which internal military conflict over the issue of race-based slavery became inevitable. In the background to that decision, a slave-owning family brought their slave to a non-slave-owning state and resettled there. The slave, Scott, had argued that by being brought into the territory of a free state, he himself became free in accord with the laws of that state. As such, Scott’s argument represented an appeal to state rights to self-determination with respect to the mode of life instantiated within its borders, and specifically to determine whether the mode of life instantiated therein would or would not include the institution of slavery. The rationale behind deciding against Scott, by contrast, was decidedly antithetical to the states’ rights mentality, as were its effects: it appealed to the right to property as a universal right enshrined in the constitution at the federal level, thereby effectively erasing the distinction between free and slave states, and establishing a universal right to slavery in its place. In this way, the association of racism and states’ rights promulgates a historical inaccuracy, and the conceptual connection between these thereby does not even arise to the level of an accidental connection in the way intended. Rather, the association of racism with states’ rights, even when intended to undermine states’ rights, itself serves as a medium for the propagation of a post-civil war racist mythology. Note that this differentiation does not yet pronounce on either the intrinsic value or the utility of the notion of states’ rights itself. For that, the reader is encouraged to continue. In recent memory, the connection between libertarianism and federalism was effectively forged during the 2008 campaign for president of U. S. Representative Ron Paul of Texas. The tendency to view Paul as a libertarian was supported by his having previously been the libertarian presidential candidate in 1988; and, benefiting from the conflation of his views with libertarianism, by his failure to explicitly differentiate his philosophy from libertarianism in his 2008 and 2012 presidential campaigns. But that this label was never a completely good fit for Paul can be garnered from his reticence in explicitly applying the label to himself; and from his 2008 public endorsement not of the Libertarian Party candidate Bob Barr, but rather of Constitution Party candidate Chuck Baldwin. Likewise, during his 2016 Presidential campaign, Paul’s son, Senator Rand Paul of Kentucky, expressed this same reticence at first by referring to himself as not libertarian, but ‘libertarian-ish’, and later by dropping the libertarian label altogether in favor of the moniker ‘constitutional conservative’. Rather, the political philosophies of both the elder and younger Paul were, and are, better expressed as a commitment to defederalization, rationally supported by appeals to a) efficiency b) the principle of federalism, and c) an interpretation of the tenth amendment of the U.S. constitution according to which the U. S. Federal government is barred from the performance of certain functions not explicitly assigned to it in that same constitution. Thus, though a loose political alliance between federalism and libertarianism has been re-forged in the United States over the last decade or so, this does not yet imply any conceptual identification between these two. Rather, libertarianism and federalism differ to the point that their identification constitutes a category mistake: the one is a political philosophy, the other a principle governing the proper allocation of political functions. Far from being the same thing, they are not even the same kind of thing. Furthermore, as a political philosophy, libertarianism says nothing whatsoever about the means to be undertaken in the establishment of the aim of maximizing individual liberty. Thus, the relationship between libertarianism and federalism is strictly orthogonal. One can consistently advocate for a libertarianism that makes extensive appeal to federalism. But libertarianism is also consistent with the adoption of anti-federalist attitudes on any number of issues. That this is so is clear from the presence of such an attitude on three widely-discussed topics in politics today: abortion, gay marriage, and drug policy. On gay marriage, 2016 Libertarian Party presidential candidate Gary Johnson advocated not for leaving the determination of marriage law, where it traditionally had been prior to the Obergefell v. Hodges decision, in the hands of the states, but rather pledged to support the federal law on the matter, determined in the aforementioned Supreme Court decision. 2008 candidate Bob Barr advocated not for decriminalization of marijuana, but rather for the drug’s legalization; and since its naissance, the dominant viewpoint in the Libertarian party has expressed strong support not for overturning Roe v. Wade and those cases in its wake protecting or expanding legal access to abortion (thereby allowing different states to have different laws on the matter), but for upholding these federal decisions. Thus, what is arguably the dominant tendency in Libertarian thought on a number of fundamental political issues is not federalist, but rather opposed to the principal of federalism. Over the same time period as those tendencies described above, and especially during the elder Paul’s 2012 campaign, Paul’s political opponents embarked on a campaign to assimilate his federalism to states’ rights advocacy, and, by the same lack of reasoning present in section 3, thereby to racism. While there were genuine questions about Paul’s opposition to the details of the 1964 civil rights act; his use of ghost-writers, some of whom expressed racist comments, in a periodical circulated under him in the early 1990s; and about his views on whether federal law should be used to address problems of discrimination, especially on the part of business owners, none of this is yet to suggest any conceptual connection between libertarianism and states’ rights, or between either of these and federalism. Rather, the conflation of these views is largely founded on a misapplication of the logical principle of excluded middle. According to the correct understanding of the principle, for any proposition p, either it or its opposite must be true at a given time. For instance, it is or is not raining; it is or is not legal to run a red light in Trenton; the political philosophy of libertarianism is or is not consistent with the presence of racism in society. The legal misapplication of the principle, however, makes the inference not from a state of affairs to the negation of its opposite, but from the failure of a law to support (or oppose) a given stance x on political issue y as support for (or opposition to) the contrary of x. Suppose that right now that I am drinking too much coffee. Now, there is no federal law preventing me from drinking too much coffee. But neither is there a law requiring, encouraging, or otherwise supporting it. The point is obvious enough in the aforementioned case, but tends to get lost in discussion of more emotionally charged issues. In this way, the absence of federal law defining marriage liberally is construed as anti-gay; advocacy for the decriminalization of a given drug at the federal level – i.e. making it a matter on which the federal government says effectively nothing – is conflated with advocating for its legalization, etc. In short, on any given issue, silence at a given level of government is construed as advocacy for the contrary stance on that same issue. Now call the fallacious appeal to excluded middle described above the totalitarian fallacy; the progressive tendency towards legal determination of the good embodied therein, totalitarian; and a philosophy of law according to which law is expected to pronounce, at a given jurisdictional level, on one or the other side of any matter of value in a given society, totalitarianism. Totalitarianism is thus a philosophy of law according to which a given ethical vision of the good, whatever its correctness, is to be wholly embodied in the legal code of that same society at a given level of government. In current political discourse, the assimilation of federalism to both libertarianism and to racism has its root, in different ways, in the totalitarian fallacy. The call, in the name of liberty, to remove a given issue from government consideration is conflated with the use of government to maximize liberty; the failure of federal law to address racism in a given way is construed as support for racism, etc. What the above should also make clear, if somewhat surprisingly, is that there is nothing inimical in libertarianism to totalitarianism as such: a totalitarian libertarianism, whereby the aim of maximizing individual liberty is taken as a government prerogative, is possible. Given prominent libertarian support for drug, abortion, business, and marriage laws that (at least superficially) contribute precisely to the maximization of individual choice aimed at by libertarian philosophy, libertarian totalitarianism is arguably a major, if not wholly dominant, form of libertarian philosophy today. Furthermore, though it is natural for totalitarian tendencies to manifest themselves at the highest governmental level in a given society at that time, there is nothing inherently preventing its implementation at lower levels. This brings us back to states’ rights. The notion of a right embodied in states’ rights advocacy, as in its analogue in the notion of national self-determination, is both ‘thick’ and ‘thin’ in different ways. It is thin in that it refers only to the right of self-determination, connecting this right neither to other rights, nor making mention of the responsibilities with which rights correlate. But it is thick in that the application of this right lacks any intrinsic limit to its expansion. The right is thus limitless in its applications. In this notion, self-determination is regarded as the right of a state to construct or build a certain way of life within its borders. It is thus the putative right of the law within a given set of boundaries to fully implement a certain vision of society within those boundaries. It is thus the real or perceived right to the exercise of choice, conceived after the pattern of human choices, transferred onto the state. The ‘rights’ discourse envisioned in states rights’ advocacy thus represents an expansion of the aim of libertarianism from human persons to corporate individuals. To the degree that it ascribes these rights to states, it is materially inconsistent with the ascription of these same rights, as in traditional libertarianism, solely to individuals: to ascribe the prerogative of determination to the state is correspondingly to diminish the share in this prerogative ascribed to individuals. But states’ rights advocacy achieves its formal character via a transformation of the fundamentally libertarian ideal for human existence, the expansion of the possibility and range of choices, lifted from individuals and grafted onto states. The same process is also found in the notion of ‘right’ found in the discourse of national self-determination, as well in that of corporate personhood in the business world. Thus, the mentalities present in states’ rights advocacy, national self-determination, and corporate personhood, while materially inconsistent with libertarian individualism, nevertheless are saturated with its formal content. This transference of agency is part and parcel of the shift from classically liberal to neoconservative economic theory, where the primary actors are no longer conceived as individuals, but as states, through enactment of liberal law, and corporations, through the promulgation of consumer choice, both at the service of the libertarian ideal. In short, there is thus nothing inconsistent in the concept of a libertarian totalitarianism; beyond its loose political alliance with libertarianism, states’ rights advocacy is conceptually analogous to libertarianism in its focus on self-determination, understood after the pattern of human choice; this same analogical transference is functional elsewhere in conceptions of the self-determination of the nation, as well as in conceptions of corporate personhood. Neither states’ rights advocacy nor libertarianism is inconsistent with totalitarianism, and the dominant form of the latter arguably is its totalitarian form. Adding to this the blatantly idealist, totalizing character of progressive liberal political discourse, leaves the greater part of our political discourse as a friendly scrimmage among different totalitarian philosophies. Now I shall show you a better way. ‘The principle of subsidiarity is opposed to all forms of collectivism. It sets limits for state intervention. It aims at harmonizing the relationships between individuals and societies. It tends toward the establishment of true international order’. From the above, we can deduce the following: that certain communities are related to each other as higher to lower; that certain levels of community have essential functions, i.e. functions that belong to them by their nature, in accord with their levels; and that certain actions of the state or other higher bodies can interfere with these functions. Inasmuch as those functions of a given community are its own, they are distinguished from those appropriate to superordinate communities not by their quantity, but by their type. There are thus, certain types of things that, regardless of their goodness, certain bodies should not do. This is the fundamental point missed in the totalitarian scrimmage described in the previous section. None of these philosophies sets any intrinsic limits to government functions in accordance with its nature as a given kind of government, but rather aggregates ever-increasing functions to it in accordance with demands of the time. Premise 1: Those functions of a society which properly belong to a lower level should not be usurped by a higher level. Premise 2: Federal and state governments relate to each other as the governing forms of higher and lower levels of community. Conclusion 1: Therefore, those functions which properly belong to states should not be usurped by a federal government. Conclusion 2: Therefore, there are functions which belong properly to states. Conclusion 3: Therefore, there are functions which it is wrong for a federal government to usurp. The first premise is the principle of subsidiarity; the first conclusion is simply the principle of federalism as defined above in section 2. The second and third conclusions are straightforward consequences of any non-trivial form of federalism, i.e. any one that also admits the existence of state and federal governments, and functions proper to each. Federalism, then follows from subsidiarity on the straightforward assumption that a federation represents a different level of society than a state; the principle of federalism is thus a species of the broader principle of subsidiarity. None of this is yet to determine what the precise functions of a state or a federal government, as such, should be. Plausibly, the latter includes matters such as international trade relations and defense, but does not include things like mandatory bathroom assignments in accordance with new age religious mores. The responsibilities appropriate to the European Union as a body are not strictly enumerated in the constitution of that body. Nor is it clear which exact responsibilities are more appropriate to Edinburgh than to Westminster – though it is clear that for the government of Westminster, for instance, to take on responsibilities perfectly capable of being carried out in Edinburgh or Belfast, represents a violation of the principle of subsidiarity. In the case of the United States federal government, however, those functions peculiar to it arguably are more conspicuous: hence, the existence of an interpretation of U. S. federalism, stretching back to Thomas Jefferson and others, according to which the constitutive limits of the U. S. Federal government are given in, well, the U. S. Constitution. While none of this is to say that the model of federal government determined in that document is a good one, it is to say that it is one that has some strictly defined limits written into it, limits which, if they prove to be inexpedient, point minimally to the need for constitutional amendment. ‘In recent years the range of such intervention [viz. by the state] has vastly expanded, to the point of creating a new type of State, the so-called “Welfare State”. This has happened in some countries in order to respond better to many needs and demands, by remedying forms of poverty and deprivation unworthy of the human person. ‘However, excesses and abuses, especially in recent years, have provoked very harsh criticisms of the Welfare State, dubbed the “Social Assistance State”. Malfunctions and defects of the Social Assistance State [Vitia autem et pravitates ‘Civitatis auxiliaris’] are the result of an inadequate understanding of the tasks proper to the State [emphasis mine]. Here again the principle of subsidiarity must be respected: a community of a higher order should not interfere in the internal life of a community of a lower order, depriving the latter of its functions, but rather should support it in case of need and help to coordinate its activity with the activities of the rest of society, always with a view to the common good. The relevance of the principal of subsidiarity to the expansion of the welfare state, and the problematic nature of the latter, are thus completely conspicuous in the Pope’s thinking about the subject. The encyclical does not locate the problem of the welfare state merely in a failure of efficiency, but in ‘an inadequate understanding of the tasks proper to the state’: there are, then, according to the encyclical, certain functions that, no matter their goodness, simply are not for the state to do; and among these are functions that were typical of the so-called ‘welfare state’. On the other hand, the claim that ‘needs are best understood and satisfied by people who are closest to them’ is one of the foundational motivations for localism. Localism, as stated above, is a philosophical ideal according to which economic and political functions within a society should be performed at the smallest level at which those functions can be achieved. Though not all relations governed by subsidiarity are local, to the degree that the hierarchy presented in the principle of subsidiarity includes levels of society spatially contained in each other, where the ‘height’ of a given level of society is correlated with its spatial extension, localism represents the ideal limit of that principle: to ascribe each function in accordance with the most intimate body capable of performing it. While there may be extraordinary circumstances preventing the achievement of this ideal at a given time in a given society, it remains the normative ideal towards which the principle of subsidiarity, in its governing of locally subsidiary bodies, remains ordered. Federalism differs from libertarianism in that the former, like subsidiarity, is a principle, while the latter is a philosophy. The tendency to conflate these two thus constitutes a category mistake. The relation of libertarianism to federalism is strictly orthogonal, and the dominant form of libertarian in the United States today is arguably anti-federalist. The assimilation of federalism to both libertarianism and to racism has its roots in totalitarianism, an understanding of the role of law according to which its purpose is to fully implement a certain vision of the good at a given level in a society. Perhaps surprisingly, there is nothing in libertarianism inimical to totalitarianism as such. Every non-trivial form of federalism, by contrast, does provide a limit to the implementation of totalitarianism, at least on the federal level, and hence is not consistent with it. Localism is constitutively inconsistent with totalitarianism. While libertarianism is not materially consistent with either states’ rights advocacy or the principle of national self-determination as commonly expressed, the phenomena referred to by the phrases ‘States’ rights’ and ‘national self-determination’ are themselves arrived at by the transference of a libertarian ideal onto corporate persons, and thus do not represent a genuine contrast with libertarian philosophy. This same transference is also present in conceptions of corporate personhood in the business world, with the transference itself representing an important factor in the shift from classical liberal economic to neoliberal economic modes of life. The notion of subsidiarity requires that functions appropriate to a given level of society are not usurped by a higher level. The functions of a given body are determined in accordance with its kind. Hence, there are certain functions that, by nature, are inappropriate for a federal government; and others that are inappropriate for governments as such. Catholic social teaching, from which the notion is taken, explicitly links the problem of said usurpation to the growth of the welfare state. While the limits determining what functions are appropriate to the governing body of a federation as such are somewhat vague, those determining what functions are appropriate to the U. S. federal government in particular are less so. Those functions constitutive of the U. S. Federal government are those, well, enumerated in the Constitution, the remainder being reserved to the states by the tenth amendment, with provision for adding further functions via the amendment process. Localism represents the ideal limit to which the principal of subsidiarity aims, as it pertains to the relation between levels of society one of which is spatially contained in the other. In accordance with the ideal, those various economic and social functions should be allocated at the lowest level at which they can be performed. This aim serves not primarily the goal of efficiency (though it does serve this end, too), but rather that of ensuring that economic and social care maintain its personal, social, and charitable character, rather than ceding to faceless bureaucratism. Note that the definition here given makes no reference to the truth or falsity of the ethical maxims embodied therein. A society that sought to wholly embody the true morality in its legal code at a given level of government, would nevertheless have a totalitarian government at that level. For example, a theocratic government wholly adhering to the true faith, (whatever one thinks that is) and morals (whatever one thinks these are) would nevertheless be totalitarian. In this case, too, where the relation is more clearly one between two importantly different cultures, the analogy of this usurpation of duties to imperialism in the international sphere is somewhat more perspicuous. I have changed the English translation’s ‘in the Social Assistance state’, to ‘of the Social Assistance state’ in accord with the Latin text, which uses the genitive. Hence, where the Vatican English translation is amenable to a reading on which the malfunctions are merely within the state, the Latin text is not, but contains a stronger meaning ascribing these vices and defects to the form of the welfare state as such. This post also appears, under the same title, at The Kitchen Table, at http://ddcasp.weebly.com/the-kitchen-table/libertarianism-racism-federalism-subsidiarity-localism. Since starting this site, the blog portion of the website has been based on a very specific concept of what a philosophy blog can do better than other forms of philosophy literature: provide high-quality self-contained, short-form work on a topic that is disentangled from the academic literature and jargon associated with it, especially on ‘big-picture’ questions in metaphysics. For some of the better examples of this, I refer you to the highlighted posts page, especially the pieces listed under section 2.1, ‘What is philosophy?’. Few philosophy blogs I am aware of actually attempt to do this. Among the better ones, one mostly finds tentative, informal approaches to topics the author hashes out better elsewhere, commentary on current events in politics and in the philosophy profession, and drafts of work that will ultimately find their way into academic publications. Given the incentives associated with both philosophy writing and blogging generally, this is understandable. On the philosophy side, current incentives encourage writers to publish research that engages with the work of their peers, who in turn judge that work’s merits. An unfortunate side-effect of this is that professional philosophy writing tends toward insularity, and much philosophy blog writing merely becomes pre-professional writing. Philosophy work explicitly intended for a popular audience, e.g. many good pieces written in Aeon, tends to either distill academic work for a popular audience or focus heavily on trendy topics and current events. On the blogging side, algorithms that determine which pieces are recommended to others in aggregate blog sites like WordPress or Medium.com are biased towards a high quantitative output – even when, as is the case with the latter, there is an explicit attempt to do otherwise. Nothing is wrong with this per se. But there is room for another, different sort of philosophy work than that dominant at present (either on this blog or elsewhere), and the need to strategically address the challenges post by search engine and blogging platform algorithms can’t be ignored. While I’m happy with most of the work I’ve published here to present, it hasn’t reached the limits of the first, and hasn’t even attempted to address the second problem. The first set of changes affects the kind of content to be found here. I’ll begin posting on a wider variety of topics, including ethics, politics, religion, philosophy of technology, and economics. To now, I’ve avoided discussions of many of these issues on two assumptions: first, that most disagreements in these areas are consequent upon deeper metaphysical disagreements – ethical tips of metaphysical icebergs, so to speak. Second, that many topics in these areas are controversial, and my arguments on any of them would likely alienate some readers. Thought I still think these things are true, it now seems to me that the costs of engagement may not be as steep as I originally envisioned, (and that in the interests of truth I can only care so much if they are), and that there are likely benefits I had hitherto ignored to be had in engaging such topics – both in engaging other potential readers and in giving examples of greater disciplinary integration to a world where the sciences remain badly fractured. The one caveat is that I will continue to avoid writing material connected to news cycles, which inevitably comes to look badly dated after a short time. Even when engaging in topics of increased public interest, the directive of philosophy remains what it has been since Plato: to find what what is stable and lasting behind the changing and ephemeral. First, I’ll begin posting shorter blog posts close to daily. Since it would be foolish to pretend that the depth of analysis will remain the same after this change as when posts appeared less periodically, this leads to the next two changes. The second change is the inclusion of best-of posts on weekly, monthly, quarterly, and annual bases, which will gather a subset of the best posts at the end of each of the aforementioned periods. The third change is the launch of my medium.com author page (where all my posts can be found), and a medium.com publication, Philosophy Outside the Text, devoted to precisely the sort of work this blog was originally intended for: expositions that cut out obligatory academic references and jargon with no corresponding sacrifice of philosophical depth. The site will incorporate both new material and some of the better legacy posts from this site. It will also include posts behind medium’s premium paywall structure. If you have a medium.com account, you can ‘clap’ for these posts, which medium calls ‘stories’ – Medium’s clap is similar to Facebook’s like button, but allows the user to clap multiple times, which is intended as a way for readers to rate pieces according to quality. If you appreciate my writing, clap for me. At the end of each month, I’ll receive a payment based on the number of claps my stories receive. Lastly, I am considering adding other authors to Philosophy Outside the Text in the medium- to long-term. So if you or someone you know is interested and capable of doing the kind of work for which the site is intended, send me an email with a sample post at [myFirstNameMyLastName][theAtSign]gmail.com.